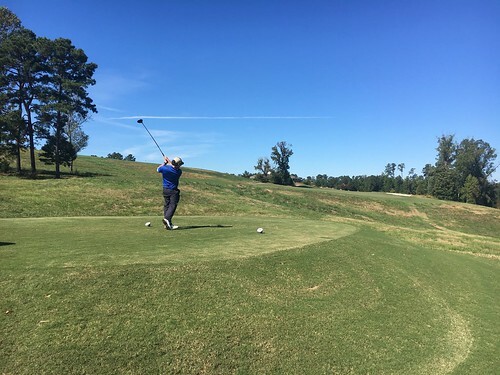 About 100 golfers participated in the annual Education Fundraiser Golf Tournament, held Oct. 19 in Raleigh, N.C. In 2019, SEAA is exploring the development of short videos designed to be used as micro-learning tools to enhance the SEAA/NCCER Ironworker training curriculum. In addition, it presents a Craft Training Grant annually to support member company implementation of training and assessment programs for workforce development. Funds raised at the golf tournament support these and other initiatives. Submit an online application for the Craft Training Grant. Deadline is March 15. The 2nd Place Team consisted of players from Gregory Poole Equipment Company and the 3rd Place Team was a foursome from Whiting-Turner Contracting Company and Heritage Properties. Prizes were also given for Closest to the Pin, Longest Drive, and the Ball Drop Raffle.